The RTM Rules Committee at their meeting on Jan. 14. DARIEN — Darien may be next in a growing list of municipalities to ban plastic bags. Representative Town Meeting Public Works Vice Chair David Bayne said at Monday’s meeting that a majority of stores in town are already behind the plastic bag ban proposal, introduced by local environmental group BYO (Bring Your Own) Darien back in October. The RTM’s Rules Committee recently set a public hearing for Feb. 6 at 7:30 p.m. in the Town Hall auditorium, during which residents and local store owners are invited to share their thoughts. Westport, Greenwich and Norwalk have banned single-use plastic bags, and Stamford will soon follow with their own ban taking effect in April. Discussions on potential bans have also been held in recent weeks at meetings in New Haven, Hamden, Branford, and Guilford, among others. BYO Darien hopes to see the town join this growing trend. The proposal would prohibit plastic checkout bags and non-recycled paper bags. Exceptions are made for product bags including newspaper bags, door-hanger bags and pet waste bags. Recycled paper checkout bags are allowed, with merchants collecting and retaining a 10-cent charge for each bag. For enforcement, the Board of Selectmen plan to appoint a monitor to determine if violations are taking place. No town employees will participate in the monitoring or enforcement of this ordinance. BYO co-Chair Paolo Sordoni said the group was excited it was granted a public hearing. “We would like to provide some more background to the community and allow them to get familiar with our proposal,” she said. Co-Chair Lucia Zachowski agreed the public hearing was necessary. 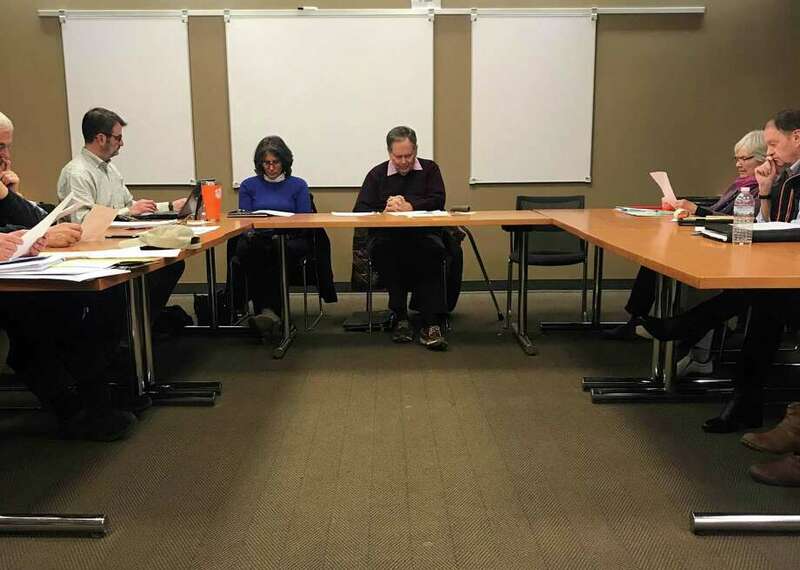 “It is important for Darien residents to come to BYO’s public hearing to make their opinions known in this representative government forum,” Zachowski said, adding this was an important part of the democratic process in Darien. There could be environmental benefits as well.